Sell My Steinway! Get Top Dollar & Next Day Cash By Selling Your Steinway to Sonny! 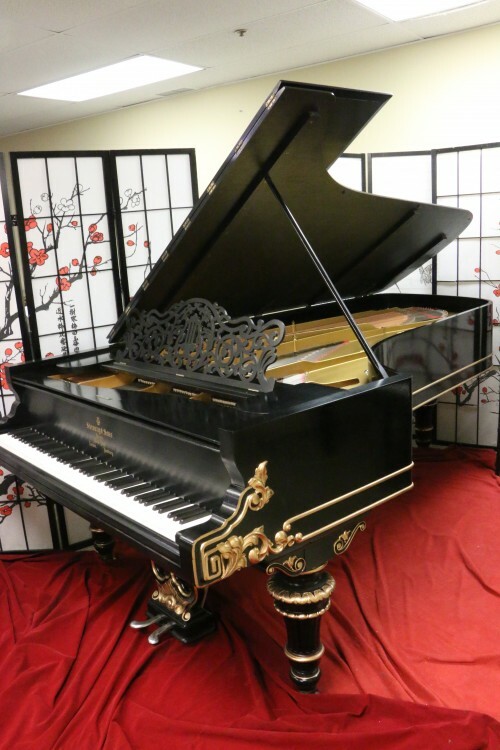 Selling Your Steinway Piano? 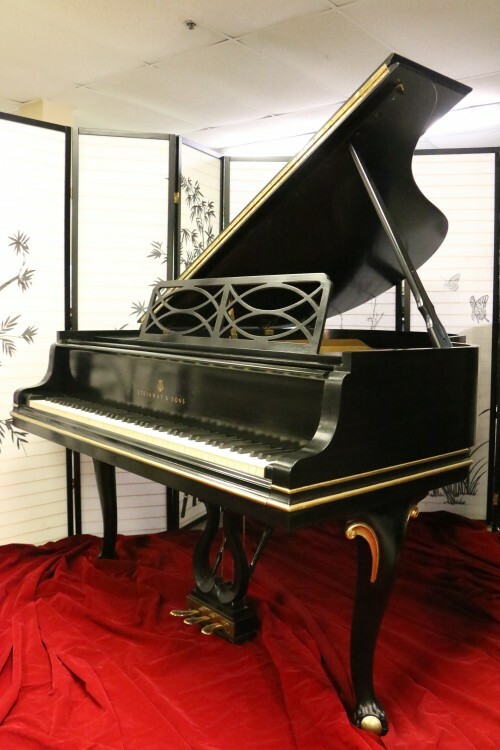 Looking for a new home for your Steinway? Get Top Dollar & Next Day Cash From Sonny! Art Case Steinway Piano “Vernis Martin” Masterpiece! Owned By Prussian Prince! Sonny’s Pianos is donating $100,000 or 10% of the proceeds upon the sale of the MILLION DOLLAR STEINWAY to the JDRF of Long Island. 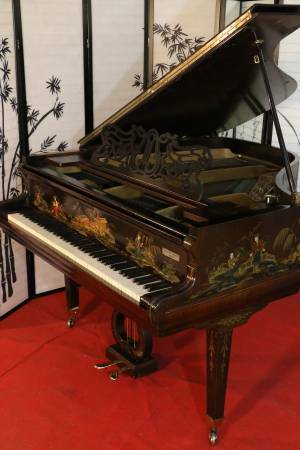 Phenomenal Hand Painted, Rosewood, Art Case Steinway “A” 6’1″ Grand Piano made in the Steinway & Sons Hamburg, Germany Factory in 1900. 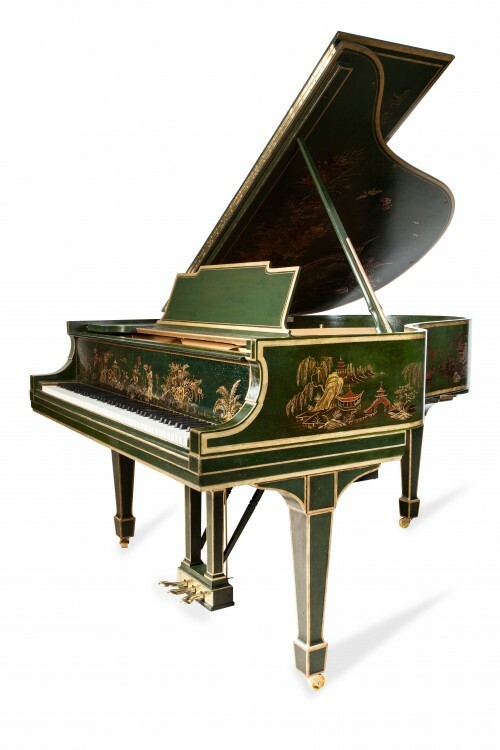 We have nicknamed this the “Prussian Prince’s Love Piano” because of the Romantic, Pastoral Love Scenes painted on the piano and the “Love Story” that they appear to tell. 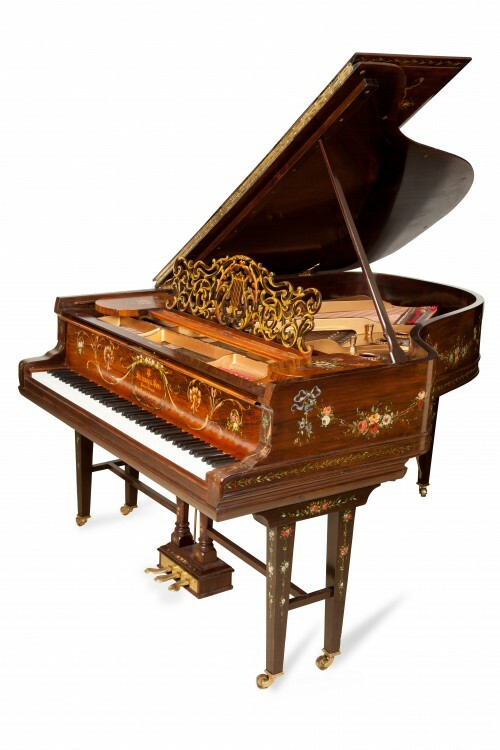 From what we can determine after it was made this piano was sold and shipped to a Prussian Prince in La Tour-de-Peilz, Switzerland a renowned vacation community for the German & Prussian Royalty. (we totally rebuilt & restored it during the summer and fall of 2015) It appears that after purchasing the piano the Prince commissioned a master artist of the King Louis XV “Vernis Martin” Style to create the beautiful custom Romantic scenes which appear to tell a “Love Story”. It seems that the Prince wanted to immortalize the love between himself and his lover with this gorgeous work of art. We had an art historian evaluate the paintings and she said “The paintings on the case are Vernis Martin style depicting pastoral scenes of love and romance following the manner of fashionable painters of the mid-18th century, and with gold painted scrolling tendrils and colored flowers and garlands on the case and legs. Vernis Martin was an 18th century technique named for the Martin brothers of Paris, who were instrumental in development and refinement of lacquer in imitation of Asian lacquer”. 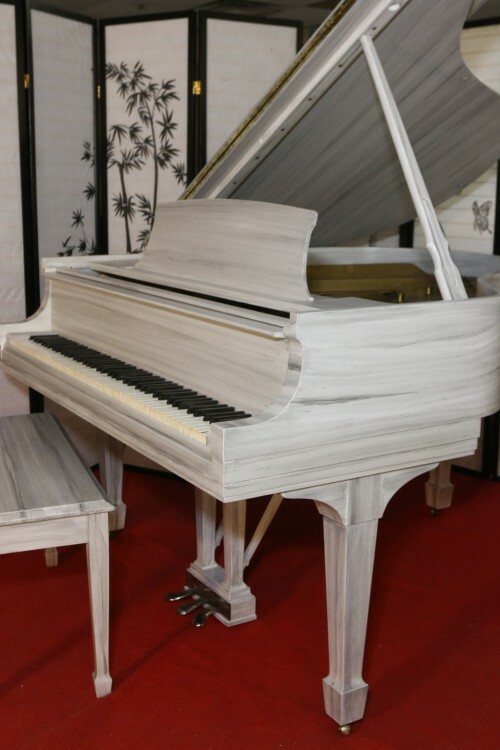 See art historians full reportClick Here The person who sold it to Sonny’s Pianos said that his grandmother bought it at Sotheby’s Auction house in London in the late 1920’s and said it came from a Prince’s Estate. 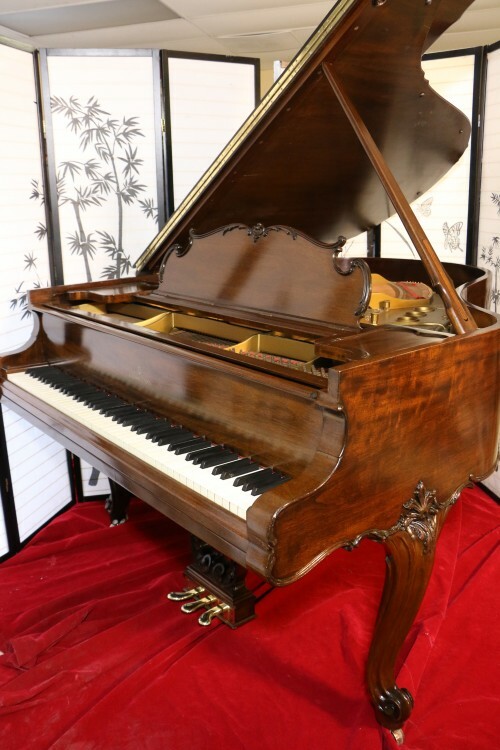 She kept it in London until 1960 when she sent it to NYC to her daughter for a wedding gift, thus continuing the Love Story behind the piano. The daughter then passed it down to her son about 20 years ago. He sold it to Sonny’s in the Spring of 2015. Steinway & Sons records confirm that the piano was indeed purchased by someone in La Tour-de-Peilz, Switzerland. The romantic pastoral scenes seem to convey some kind of love story especially the two lovers entwined on the lid and a younger version of them that are two baby angels also on the lid. The male figure has a crown of garlands and the woman has red hair and fair skin common for people from northern Europe. The piano itself is an incredible instrument probably one of the best and most expensive money could buy at the time. We just totally rebuilt the piano with a new a Alaska Sitka Spruce soundboard and new pinblock, new Hamburg Steinway wippens and new Steinway NY hammers and shanks. All new strings and Mapes bass strings. We also put on new dampers, put an age appropriate soundboard decal on the soundboard and regilded the plate. The action was just regulated to concert stage performance level. The tone is a rainbow of sublime colors. We had two professional artists restore the original art scenes and it is just an incredible instrument and work of art. This is not a one in a million Steinway, it’s the only Steinway like this on the planet! Call for further details….Sonny 631 475-8046. 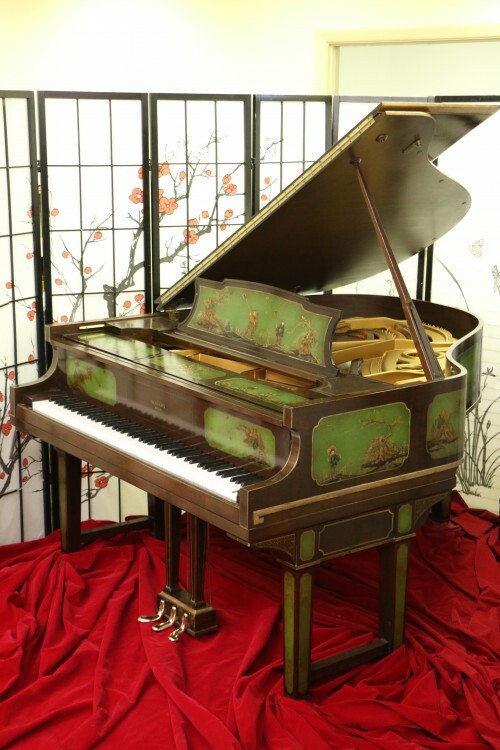 Art Case Steinway Chinoiserie Style Model M Grand Piano “The Green Chi” Hand Painted Masterpiece with Landscape Scenes & New PianoDisc IQ Player System! Completely Restored 2016 DONATION & REWARD!